Well – we made it! By Friday afternoon, four local owned boats had berthed at Falmouth’s Port Pendennis marina, which was subsequently used as the base for the Tavy Tars. The boats made an excellent central point for us all. On Friday evening there was a reception, the welcoming speeches and several groups sang at the Watersports Centre. On Saturday morning, the Tars sang at the main stage in Events Square to a hardy audience who braved the showers to join us. It was great to see some Bere Ferrers faces who had come down specially to hear us perform. After a pasty lunch on Custom House Quay, it was over on the ferry to St Mawes for a session outdoors in the showers and cold weather. Our passages on the ferry were free, in return for singing our way across the Carrick Roads. The other passengers seemed to enjoy it-however there was no escape for them once the ferry had departed. Saturday evening saw a session in the Waterside pub, which was a great venue and very popular. Beth found a dancing admirer and Carol found a dancing partner (see pics). Sunday morning saw our session on the stage on the Moor in wet conditions again and after another pasty lunch it was our final session at Custom House Quay, where BBC Radio Cornwall turned up to do a live broadcast, including an interview with Beth and Pru. Everyone really enjoyed the weekend and it was a very useful experience for us all. We shall have to start thinking about the 2009 set list. 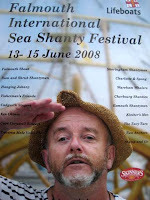 Our thanks to Falmouth Shout for their excellent organisation and hospitality, and for making the arrangements with the sponsors for our beer and pasties. We hope that the funds raised for the RNLI were substantial. 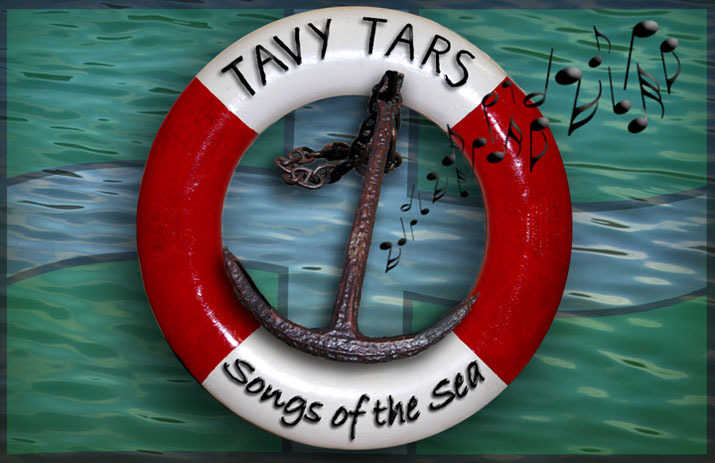 We must also not forget to thank the Tavy Tarts for their unending support and acting like it was the first time they had heard us at each session!